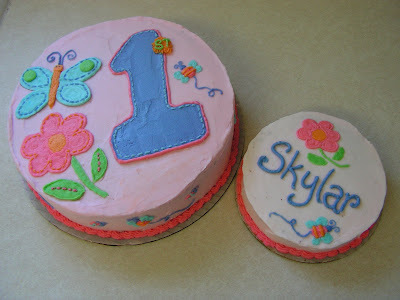 A couple of weeks ago we celebrated my neice Skylar's first birthday. 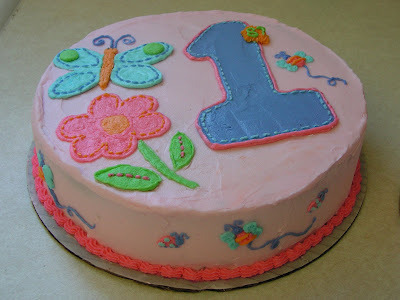 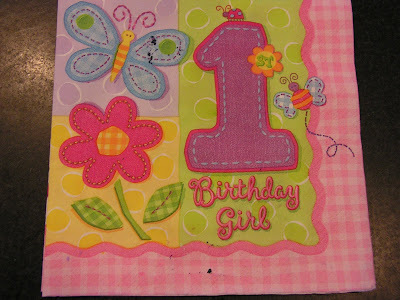 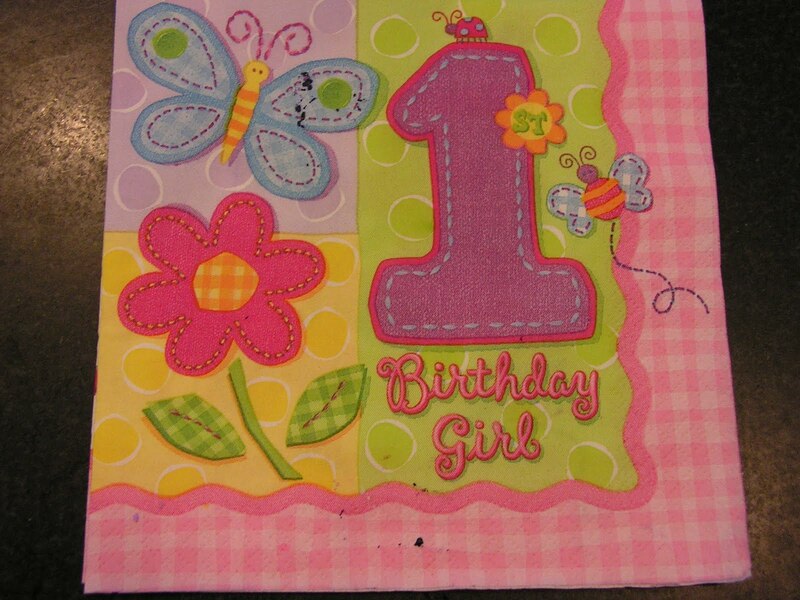 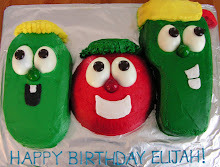 The theme was a simple first birthday theme based on this napkin below. From this napkin, I used the design to create the large cake for the guests and the small cake for Skylar to eat. 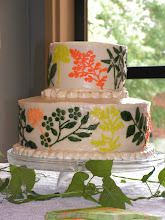 I enjoyed adding the detail of the bugs on the side of the larger cake. 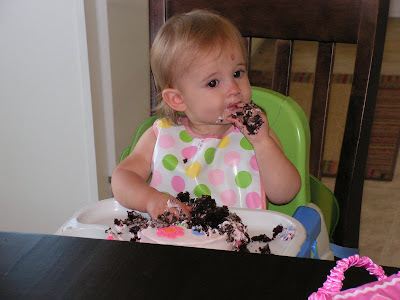 The birthday girl enjoying her cake!